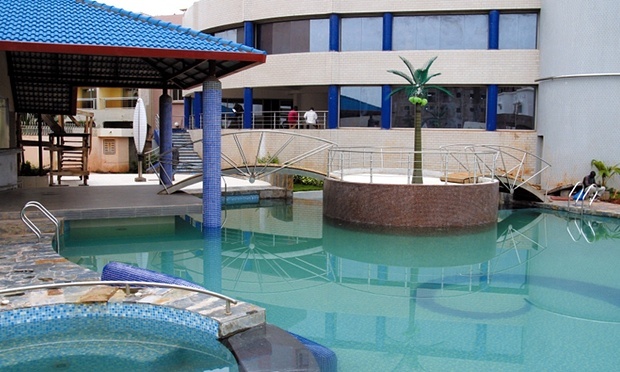 The Mali Blu Radisson Hotel has been taken over by suspected Islamists. BBC Africa is reporting Malian special forces have entered the Radisson Blu Hotel in Bamako, Mali’s capital, where suspected Islamists are holding dozens of guests and staff hostage. Apparently three people were killed during the takeover of the hotel by the suspected terrorists. The hotel is popular with ex-patriot workers. A Malian army commander told the AP news agency that about 20 hostages have been freed. Hostages able to recite verses of the Koran were being released, a security source has told Reuters news agency. Six staff from Turkish Airlines are staying at the hotel, and a Chinese guest told China’s state news agency Xinhua that he was among about seven Chinese tourists trapped there. A French presidential source said French citizens were in the hotel, Reuters news agency reports. In 2013 Islamists seized Diabaly, a town in government-controlled territory amid a military intervention by France located 250 miles from Bamako.